This entry was posted in Activity News on October 19, 2015 by admin. This entry was posted in Activity on April 30, 2015 by admin. This entry was posted in News Publications on March 20, 2015 by admin. This entry was posted in News Publications on March 18, 2015 by admin. 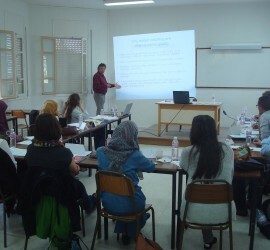 This entry was posted in Activity News and tagged Tunis Workshop on March 4, 2015 by admin. This entry was posted in Activity News on January 14, 2015 by admin. This entry was posted in Activity News and tagged Passau Workshop on November 27, 2014 by admin.